From goodreads: I thought about watching from afar, hidden by the nearby trees or headstones, so I could avoid the onslaught of grief I was sure to be bombarded with. It was cowardly, but I was certain that when faced with the totality of my own grief, I would crumble under the weight of any extra. He was always so strong both physically and emotionally – I selfishly wished for his strength in that moment. If I couldn’t be strong, then I would at least be honorable and bear my pain publicly, for all who loved him to see. It was by my actions that he was about to be put six feet under, and I owed it to him to be there. “Ruby…” she sang. “Open your eyes Ruby.” Without hesitation I did. I’m not sure what to say about this book except I think it’s the best one in the series! Trying to get a handle on all my thoughts and feelings to describe how much I love this book is proving to be a challenge because I’m not sure where to start. How do I describe everything I love about it without it coming across as one big run-on sentence? There are so many details to this book that I had to go back and re-read it because I didn’t want to miss a single thing. I took notes, I highlighted certain passages and I even tried to read this book slowly (clearly that didn’t happen) but most importantly, I lived in Ruby’s world. He was my balancing force and I was his. The more we gave into it, the stronger it pulled. Something greater than the two of us was at play, placing us in each other’s lives. It was a destiny – divine intervention. Troubles would always plague us, but nothing could separate us. Not anymore. I had lived in a state of black suspension from that moment on. No sense of time or place or existence, lost in a perpetual tunnel of night. There was no escape. Scarlet had warned me several times that she wasn’t to be trifled with, that her retribution would be epic. A liar she was not. He soothed me to sleep, muttering in a language I couldn’t understand and didn’t need to. His love was apparent regardless. With me clutched in his arms I eventually fell asleep, and for once, the nightmares stayed away. Awwww thanks Caitlin!!!! It’s crazy all the books that have come out! I’ve enjoyed the Caged series like a lot but the first book has always been my absolute favorite and then I read Fractured. By far the BEST book in the series! We need to discuss this one at length! Oh and I can’t wait to read Reckless!!! I can’t wait to read reckless!!! Have you see the trailer for it? Usually book trailers seem a bit odd to me but this one got me totally pumped for Reckless!!! I love most book trailers…I’ve been wanting to post the one for Reckless but my FB page is down! Boo to FB!!! 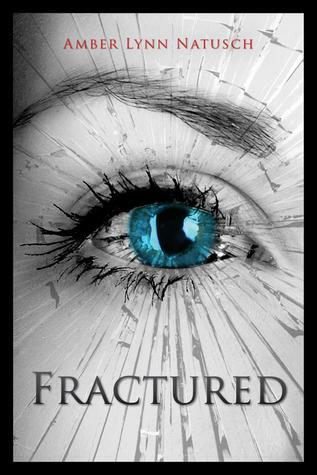 I’m starting Reckless tonight…it’s a good thing I read Fractured over the weekend!